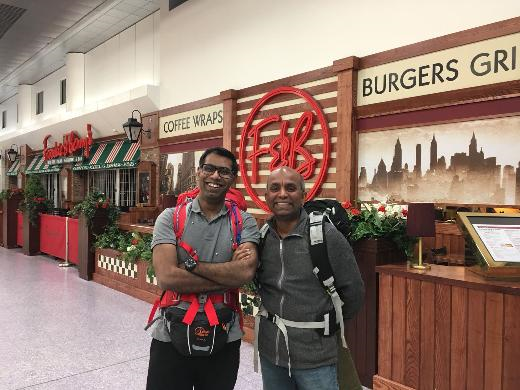 On the 12th February, two NHS doctors took on the huge Annapurna Circuit in Nepal to raise money for Hull & East Yorkshire Children’s University. Brags and Muthu work full time for the NHS and had no previous experience of similar adventure. They chose to dedicate the effort towards the education and development of children from the Hull and East Yorkshire region and so chose HEY CU as the charity to support. The funds raised will go towards helping children gain a wide range life experience, raise their ambitions and discover their strengths. They raised a fantastic £1330 on their fundraising page and they have even more expected to come in! The Annapurna Circuit is a trek within the Annapurna mountain range of central Nepal.The total length of the route varies between 160–230 km (100-145 mi), depending on where motor transportation is used and where the trek is ended. This trek crosses two different river valleys and encircles the Annapurna massif. The path reaches its highest point at Thorung La pass (5416m/17769 ft), touching the edge of the Tibetan plateau. The trail passes along paddy fields and into subtropical forests, several waterfalls and gigantic cliffs, and various villages. Annapurna Circuit has often been voted as the best long distance trek in the world, as it combined, in its old full form, a wide variety of climate zones from tropics at 600 m asl to the arctic at 5416 m asl at the Thorong La pass and cultural variety from Hindu villages at the low foothills to the Tibetan culture of Manang Valley and lower Mustang. The Centre for Digital Innovation (C4DI) in Hull has teamed up with our charity to help inspire children from disadvantaged areas of the city with the opportunity to work in technology. Hull and East Yorkshire Children’s University brought around 20 children from non-privileged backgrounds to the city tech hub to hopefully inspire the next generation of entrepreneurs. The event saw a host of businesses in the technology hub working with the enthusiastic students from schools across Hull including Collingwood primary school, Thoresby primary school, St Anthony’s catholic primary school; Thorpepark academy, Craven primary academy, Stepney primary school, St James’ primary school, Woodlands primary school and Oldfleet primary school. 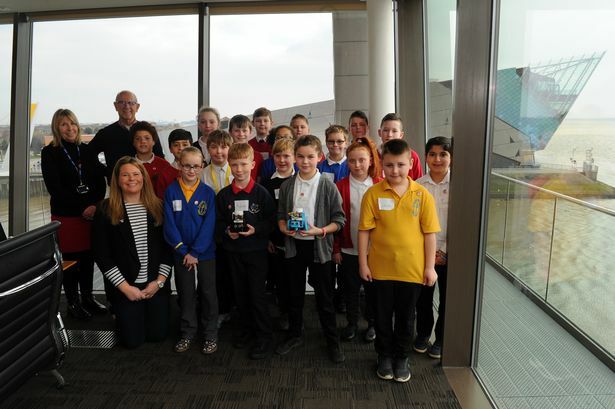 Children worked with the creators of welfare gadget Moodbeam, the leading provider of services to independent record labels Label Worx and used 3D printers with entrepreneur Alex Youden, as well as other businesses. John Connolly, managing director of C4DI, listened to pitches from the pupils of technology to help them get up early and prepare for school in the morning. Mr Connolly said he was impressed with the pupils engagement and hoped it highlighted how they can forge a pioneering career in technology without leaving Hull. He said: “They were told to come up with different ideas and I was really impressed by how creative they are. “They have a really interesting way of thinking, and some of them already have an incredible knowledge for their age. “They are really engaged, and it’s important that they know they can turn that interest into a career in Hull. We want children to know the incredible opportunities available in the city, and the best way to do that is to get hands-on. Natasha Barley, director of the charity which works with businesses to reach more children in Hull and East Yorkshire, said she was keen to show children already interested in technology, the opportunities available locally. “We asked the schools to select children who are interested in technology and sciences, because many are interested and skilled but don’t know all the opportunities available her”, she said. “We want them to see what they can achieve here and how they can be successful. It’s not just knowledge, but they have also seen the importance of creativity and how you important that can be for your career. “Working with the businesses, they have seen first-hand what it’s like and they’ve loved it. They got to see 3D printers at work and use the electronic DJ decks at Labelworx. It seems to have really inspired them. Any other businesses who would be keen to get involved with Hull and East Yorkshire Children’s University can contact Natasha on 01482 466045.